This amazing two story home has been well maintained and updated, please see update list for details. 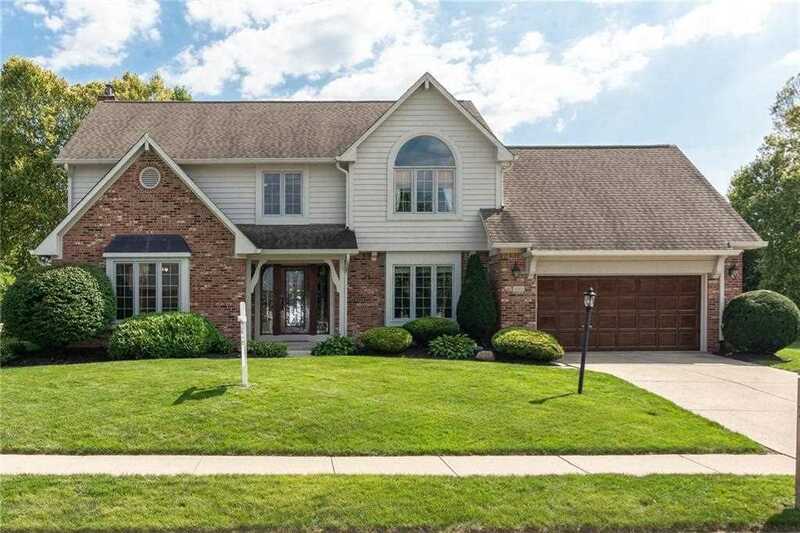 4 Bedrooms, 2.5 baths, open floor plan with living room/office, great room w/ fireplace, dining room, eat in kitchen all with modern updates and hardwood floors, main floor laundry room, backyard has a stamped concrete patio that connects to the basketball court. Master-suite has hardwood floors and updated master bathroom, finished basement and exercise area. SchoolsClick map icons below to view information for schools near 12221 Geist Cove Drive Lawrence , IN 46236. Home for sale at 12221 Geist Cove Drive Lawrence , IN 46236. Description: The property at 12221 Geist Cove Drive Lawrence , IN 46236 in Marion county with the BLC / MLS 21590936 is currently listed for $308,000 and has been on this site for 239 days. You are viewing the MIBOR listing details of the property for sale at 12221 Geist Cove Drive Lawrence , IN 46236, which features 4 bedrooms and 3 bathrooms, and is approximately 3093 sq.ft. in size.